I began drawing Bitter Fruits in late 2005, but began thinking about this piece from the day that the United States government invaded Iraq; obligating thousands of American soldiers to risk, often sacrifice their lives. At first I thought I would create a small mold and cast a figure for every war dead. 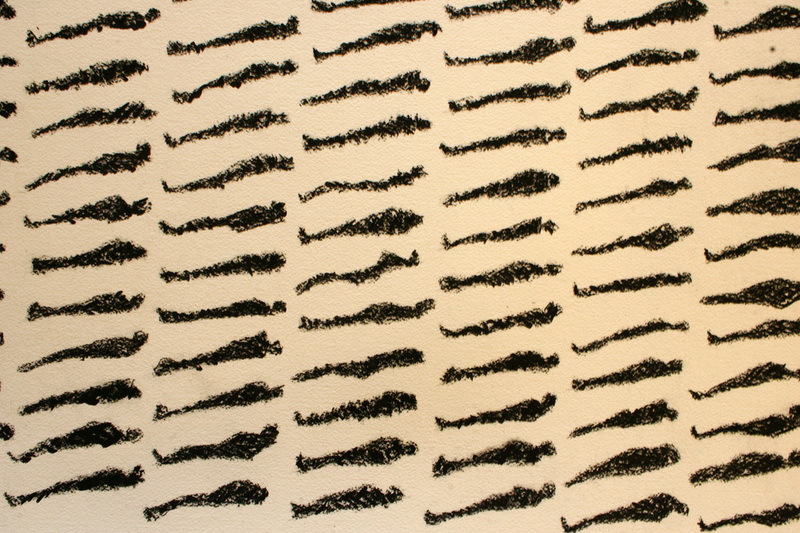 But then, every figure would be identical, I realized each victim had to be individually drawn: Rows and rows of similar figures, but no two identical. Row after row, column after column. I chose a Chinese scroll format that unrolls to show the passage of time. There was one thousand dead as of September 2004, three thousand as of January 2007. 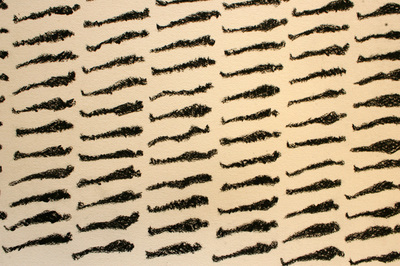 There are now 4493 figures in the drawing which is over twenty-five feet long. I started this drawing because I had to. Reading the list of war casualties each day in the Times did not adequately illuminate the tragedy. For months I worked alone. 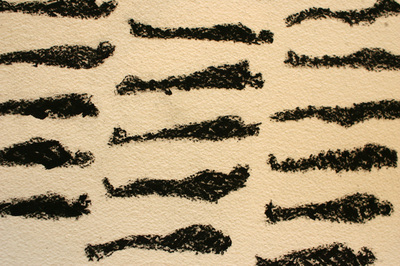 Recently I have begun showing the drawing to those who have visited my studio. It has a profound effect on all who see it. I chose to make a short film about the drawing because no one photograph adequately captures the drawing. The film shows the quality of time passing. This is a collaborative project with Hui Cox. Karim Lopez helped in the filming and editing.